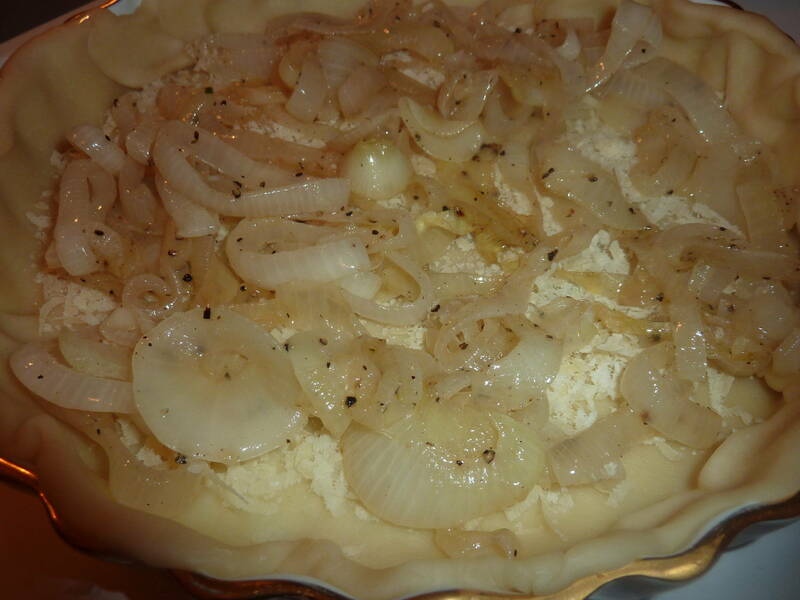 A wonderful tart for any meal or simply on its own. 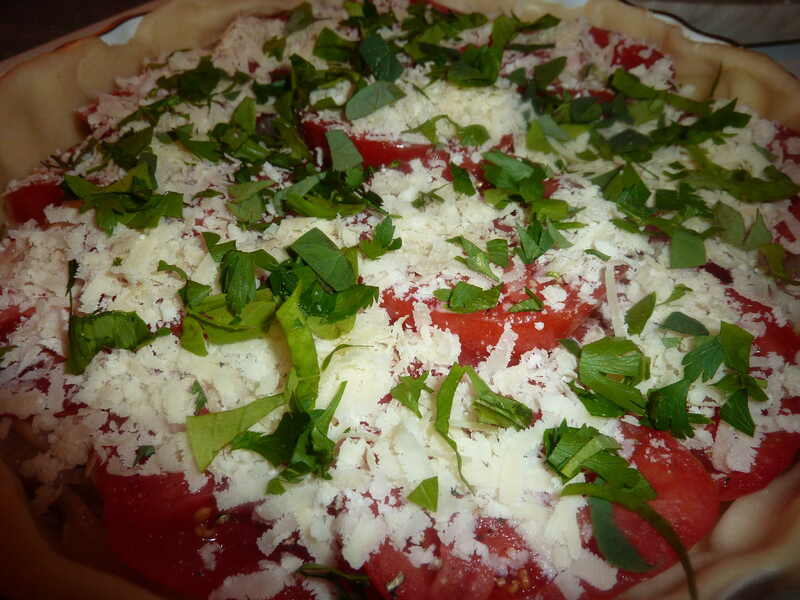 Simple to make, luscious to eat while bursting with sweet flavors from the garden. 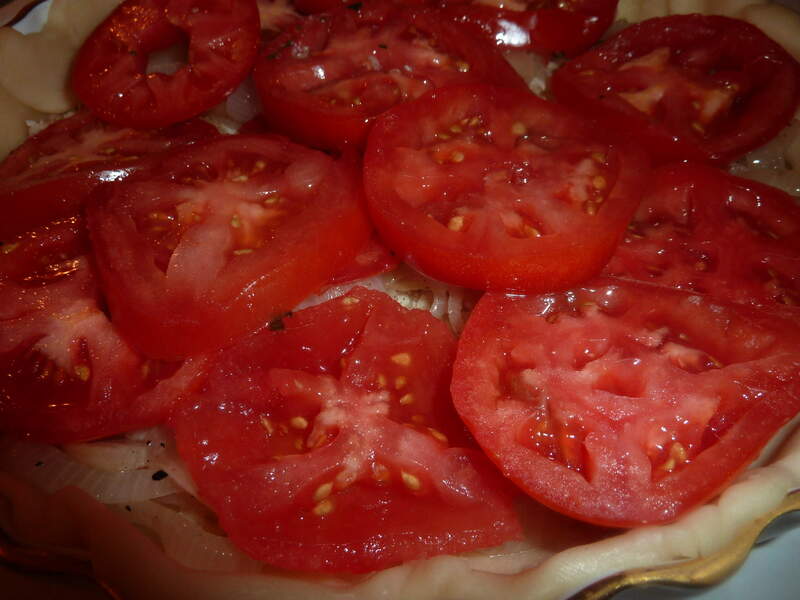 I love tomato tarts and I love onion tarts and this is the best of both worlds. 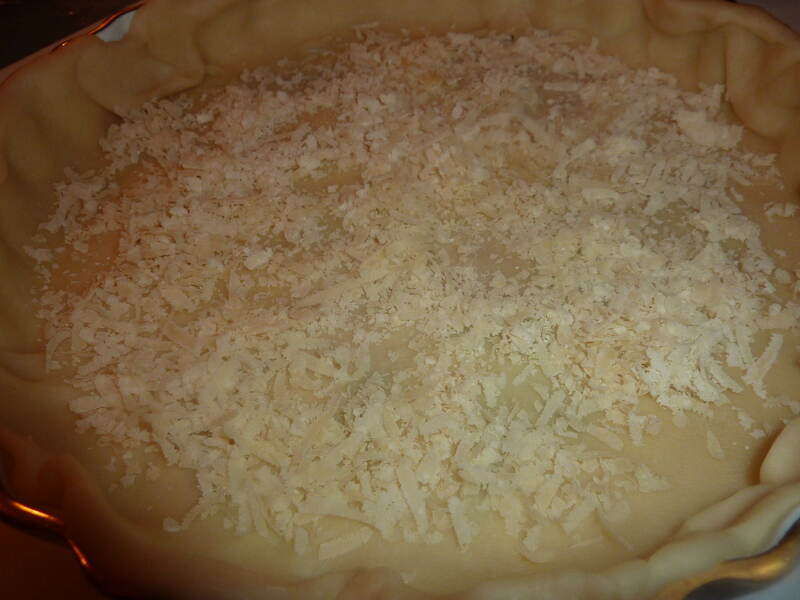 I used Parmesan cheese in this recipe but you may substitute any cheese of your choice. It is just as good served hot or at room temperature. 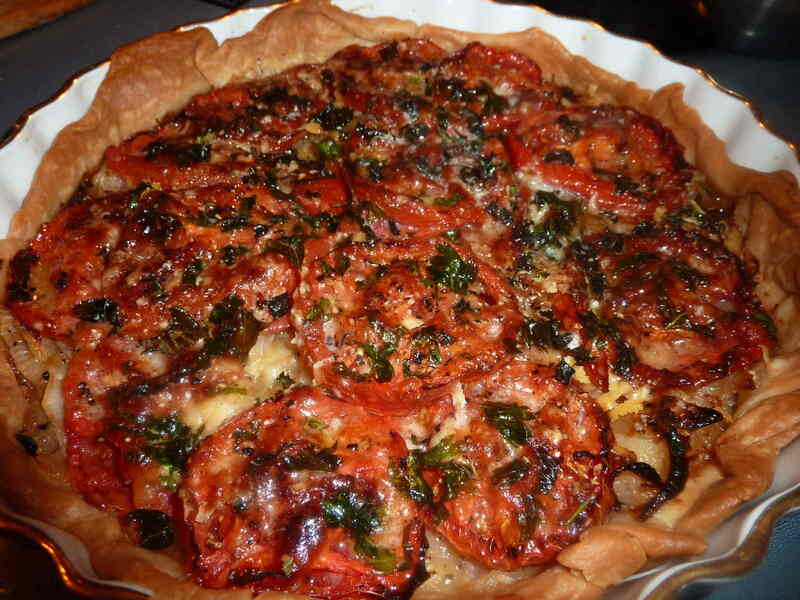 Love vegetable tarts. Thanks for stopping by and I will definitely be making some of your recipes!